Payments are only processed through PayPal or Amazon; once registered, your MONTHLY SUBSCRIPTION will automatically be renewed and your account will automatically be charged $52.00 every month until YOU cancel your subscription by logging into your PayPal or Amazon Pay Account and canceling it there. For instructions on how to cancel your subscriptions please contact your payment system’s customer service. You have complete control. You can cancel your MONTHLY SUBSCRIPTION at any time day or night simply by logging into your PayPal or Amazon Pay Account and canceling your subscription there. You agree that you are solely responsible for canceling your MONTHLY SUBSCRIPTION. Thus any dispute claims that any subscription payment was “unauthorized” due to “non-cancellation of subscription” is null and void. After the cancellation, you’ll be supplied the data until the end of your current payment period. 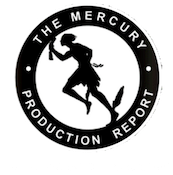 If you are going on vacation or are working on a production and can’t use The Mercury Production Report, you are advised to cancel your monthly subscription and reorder when you return. We do not offer any courtesy of subscription delivery suspension to monthly subscribers. Payments are only processed through PayPal or Amazon; once registered, your account will be charged a one-time payment for the duration of your subscription; your subscription will not automatically renew. At the end of your subscription you can order a new one. Six-Month and Yearly Subscriptions CANNOT BE CANCELED; thus you agree to not file any dispute claims of non-cancellation or non-delivery. We do offer remedy for non-delivery of issues below. You may request a TEMPORARY SUSPENSION OF DELIVERY of your subscription, where we may suspend delivery of issues to you for up to two months and add the suspended time to the end of your subscription without charge. If you are unfamiliar with our data then you are advised to order a Monthly Subscription in order to decide if you will be satisfied with it before committing to a six-month or yearly subscription as Six-Month and Yearly subscriptions cannot be canceled. You are choosing the option to get a discount on your subscription charge by paying for a pre-determined subscription length; due this discount we don not offer the option of canceling such subscriptions. If you get work or are going on vacation and wish to suspended the delivery of your six-month or yearly subscription, you may request that we suspend your subscription for up to two months. During your requested suspension, you we will not deliver issue to you and at the end of your subscription we will extent your subscription length by the same amount of time as you requested we suspend it (up to two months.). For example, if you get a Yearly Subscription (One Year) and you are working on a production for two months and request a two month suspension of your subscription any time during your subscription, we will add two months to the end of your subscription thereby extending it without charge. It is your responsibility to notify us by emailing info@mercuryprods.com that you want your subscription suspended and if needed, to remind us to extend your subscription. Please email us again before your leave to confirm we have recorded your suspension request. We may not suspend a six-month or yearly subscription longer than three months. You may only request one suspension during your subscription. SUBSCRIPTION NOT CANCELED: You can cancel you own monthly subscription yourself by logging into your PayPal or Amazon Pay Account and canceling your subscription there; thus you agree to no compensation for the “non-cancellation of your subscription. NON-SATISFACTION WITH GOODS: You agree that data is not returnable, which is why we offer a monthly subscription, so you can try out our data and cancel your monthly subscription if you are unsatisfied, thus you agree to no compensation for any “non-satisfaction” of goods or services or “goods not as described”. NON-DELIVERY OF GOODS: If for any reason we failed to deliver the data to you after you have reported to us the non-delivery of any issue within the same week and given us the opportunity to resend the issue to you, but didn’t, we will make it up to you at the end of your current paid subscription, by extending your subscription duration free of charge one week for each undelivered issue, thus settling any claims of non-delivery of data. Thus, you agree to no other remedy or compensation for “non-delivery” of goods. Thus any dispute or chargeback claims that any subscription payment was “unauthorized” due to “non-cancellation of subscription”, “non-satisfaction of goods or services”, “goods not as described” or “non-delivery of goods” or “non-suspension of delivery of a six-month or yearly subscription” is null and void. During your subscription if you do not receive the week’s data (The Mercury Production Report) by Tuesday at Noon, you are required to report the non-delivery of that week’s issue by emailing us at info@mercuryprods.com no later than the Friday of that same week, so that we may resend it to you. After contacting us, if you do not receive your issue within one day, then email us again. If for some reason we fail to deliver an issue to you after you emailed us two times requesting we resend an issue, then we will add one week for every issue we failed to deliver to you onto the end of your subscription, thereby extending your subscription free of charge to makeup for the non-delivered issues. You agree to this policy in lieu of any refund of payments made or any other kind of compensation. If you fail to contact us within the same week that you did not receive an issue, you agree that you forfeit your right to that week’s Issue and any settlement extension of your subscription. We are not required to add on time to your subscription for forfeited issues; however we may do so at our sole discretion if we believe extenuating circumstances exist. For personal or inter-office use only, duplication or redistribution is prohibited without expressed written consent from the editor. Information subject to change without notice, credits may not be contractual. Production Companies may change start dates, office locations, phone numbers, email addresses, personnel or production offices, cast or crew at any time, thus the accuracy of information supplied is not guaranteed. This data is provided as a resource for the networking of current and future entertainment productions. It is not a job referral or employment service. There is no promise of openings on any of the productions listed, of job placement or of career advancement. Copyright © 2017 THE MERCURY PRODUCTION REPORT. All rights reserved.